A majority of Oaklanders in a recently conducted poll, 60 percent, support cutting city spending on efforts to recruit and keep professional sports teams. "Overall, the survey results suggest that voters in Oakland are generally satisfied with life in their City, although they are less pleased with how City government delivers services. Many expect the City to have a budget shortfall, and if there is a shortfall, the overwhelming preference is to address it with revenue increases rather than cuts in programs." A majority, 54 percent, of Oaklanders, told the pollsters they support raising revenues to prevent further cuts to city services, even if it requires raising some taxes. Respondents ranked police services and fire protection as high priorities, but most Oaklanders said they would support cutting funding for graffiti removal, and cutting city expenditures used to attract and keep professional sports teams. 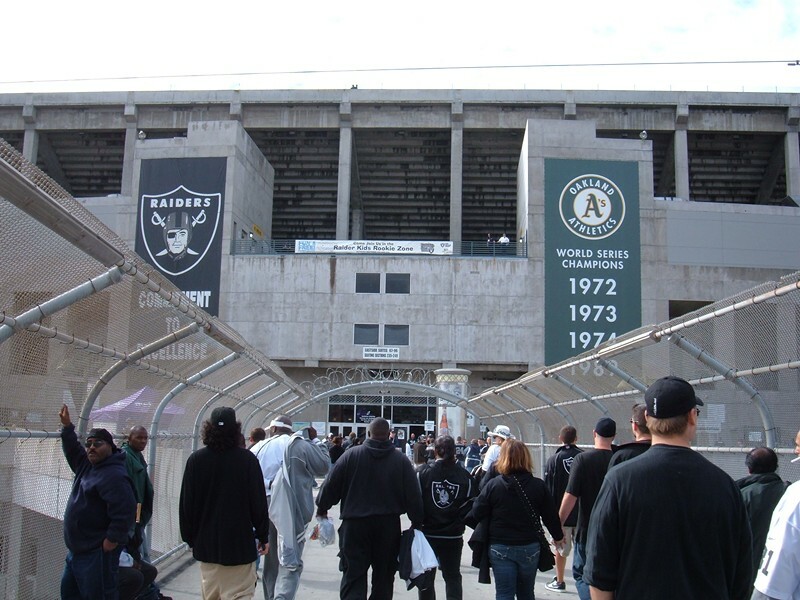 In fact, 60 percent of respondents said they would support less city spending on efforts to court the Raiders and Athletics. Apparently where you live, your race and native language, and your socioeconomic status also correlate to whether or not you think Oakland's future is bright, or whether city services are adequate. White people and people with higher incomes were more likely to have positive feelings about the quality of life in Oakland. By contrast, immigrants, native Spanish and Cantonese speakers, and those with incomes below $30,000 a year, were much less sanguine about Oakland's present and future. Geographically, residents of City Council District Seven, the easternmost neighborhoods of Oakland represented by Councilmember Larry Reid, were more likely to say Oakland's quality of life is "poor." Residents of District One, spanning Oakland's Rockridge district and North Oakland neighborhoods such as Golden Gate and Bushrod Park, were more likely to say quality of life is "excellent." Women and seniors were also more likely to characterize Oakland's quality of life as poor compared to men and younger residents. The poll was conducted over telephone (including cell phones) with registered voters between January 27 and 31. Interviews were conducted in English, Spanish and Cantonese. The survey is intended to help inform the Oakland City Council about the priorities of residents during preparation of the city budget.